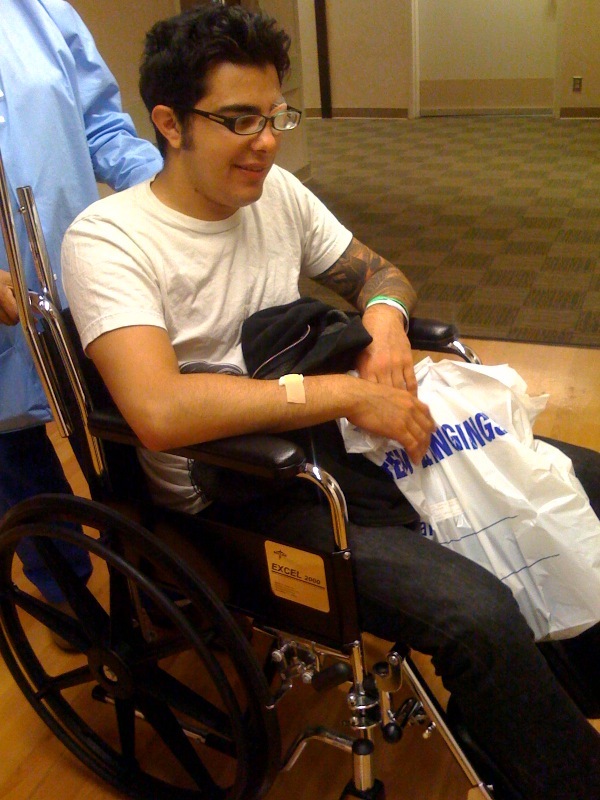 This afternoon we picked up Derick from the hospital after some minor surgery. A few weeks ago he was experiencing headaches and blind spots in his left eye. After a series of tests, frustrated local doctors sent him to Stanford medical center for further research. There he received an MRI of his head where doctors found abnormal brain wave patterns. He was then given over to the physics department for more testing. They concluded that his brain was being affected by the newly changing magnetic fields caused by the slight shifting of the earth's poles. This is the third instance they have documented this year. His brain was interpreting fourth dimensional data through an eye made for observing three dimensional shapes and colors. This morning he was brought in for surgery. 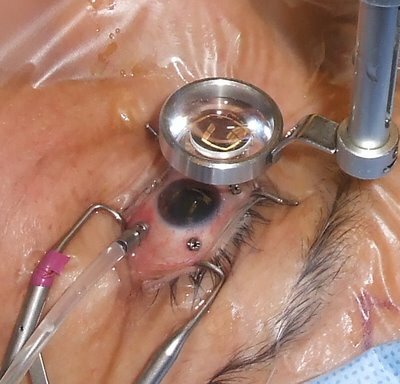 His left eyeball was removed and prepped for a highly experimental procedure. 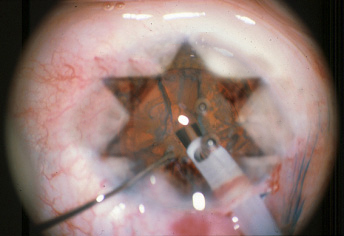 With new laser technology his retina was reformed into a tetrahedron. With the refracted light being reflected through this complex shape, he is now receiving visual information his brain can interpret correctly. They believe he can now actually see fourth dimensional images and colors beyond the spectrum of normal human comprehension. 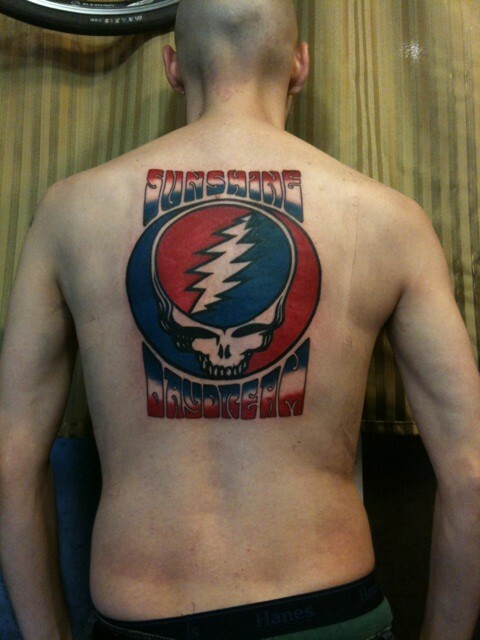 This is the new tattoo he did for me tonight. Even though I cannot perceive it with my limited three dimensional perception, he assures me the tattoo is quite fantastic. Anyone interested in getting tattoos of meta-physical fourth dimensional shapes in colors beyond the spectrum of the human eye, come by and see Derick Montez. He should be fully re-cooperated in a few weeks. 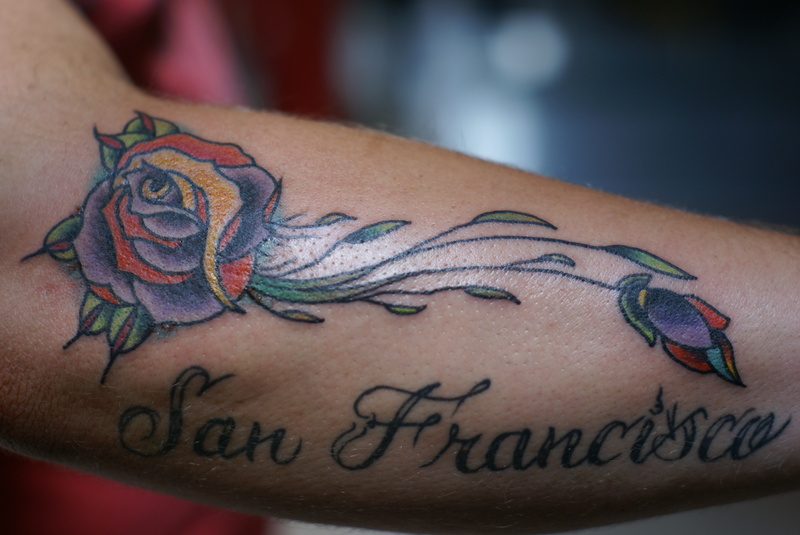 Traditional rose by Tom Landon, "San Francisco" script by Mark Gonzales. 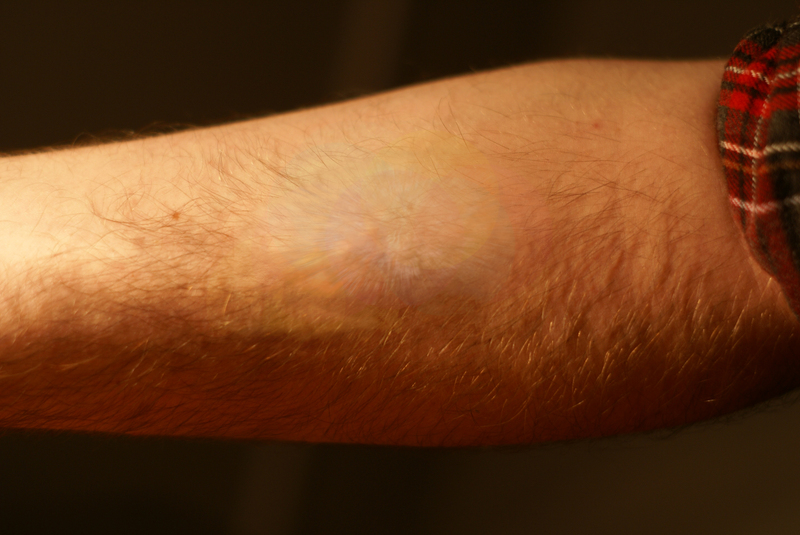 Marking the insertion point. 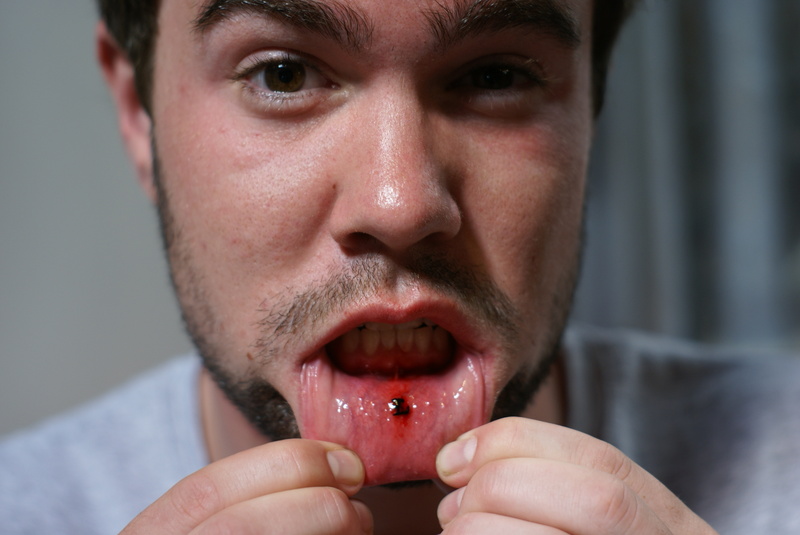 Piercing. 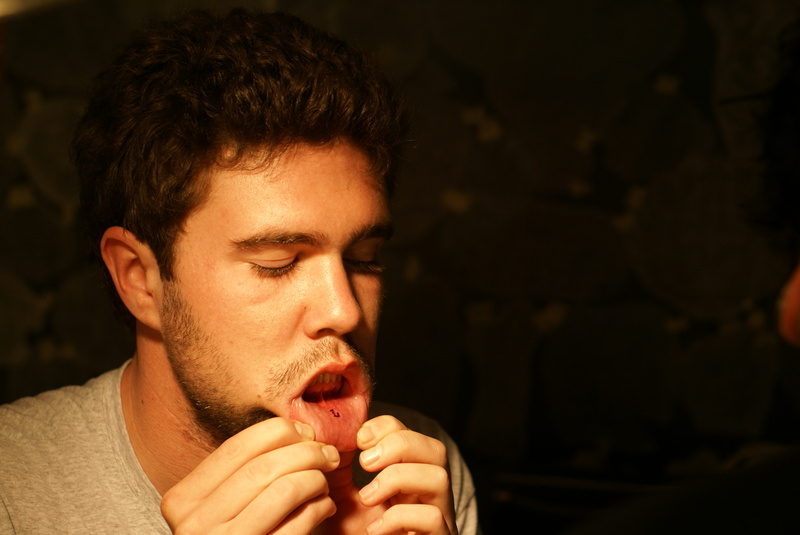 Lip piercing by Tom Landon. 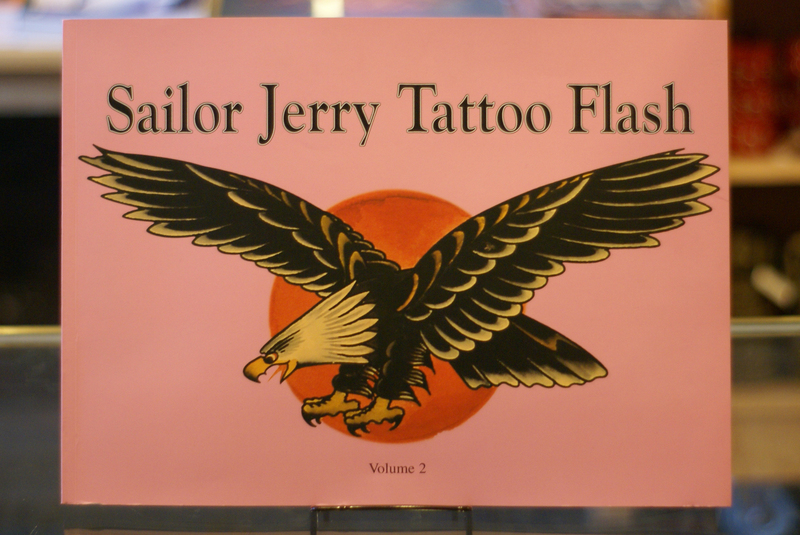 These two volumes are possibly the most important tattoo books you can own. 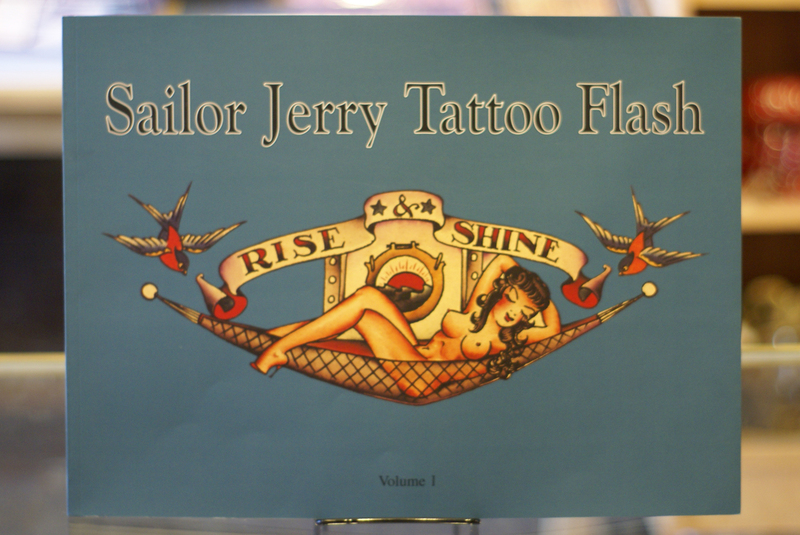 The flash pages collected in these two volumes are some of the most influential motifs in american tattoo history. 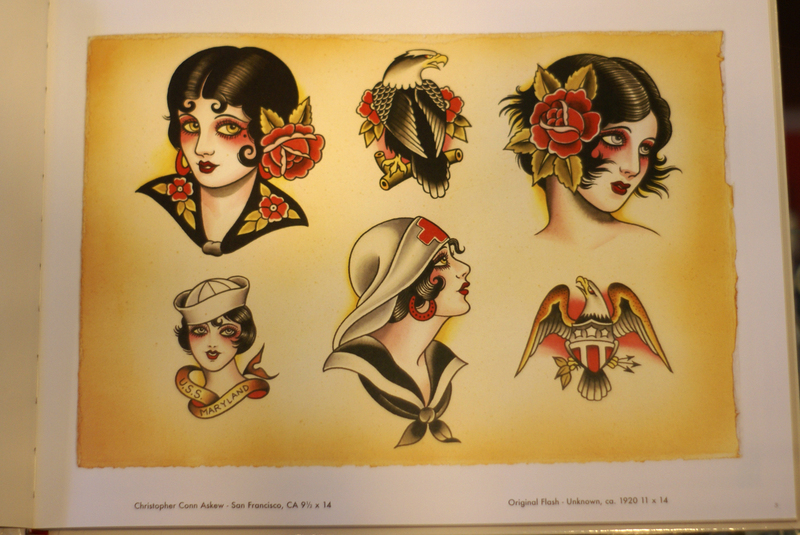 These are a must for any serious tattoo artist or fan. These pages are from the collection of the late Mike "Rollo" Malone and published by Don Ed Hardy. Available in store. Revisited : a tribute to Flash from the Past is now available in store. 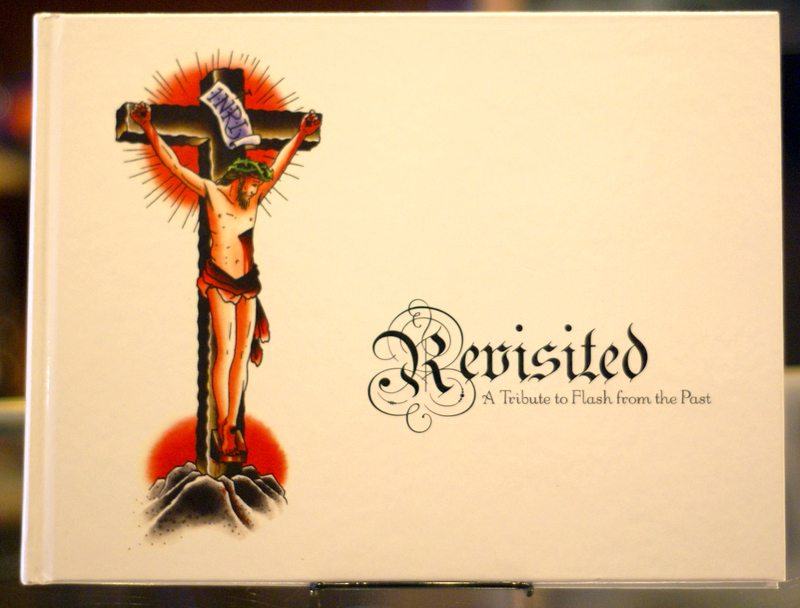 This book, assembled by Bert Kraak and Steve Boltz, is a collection of flash sheets based on the book "Flash From the Past." 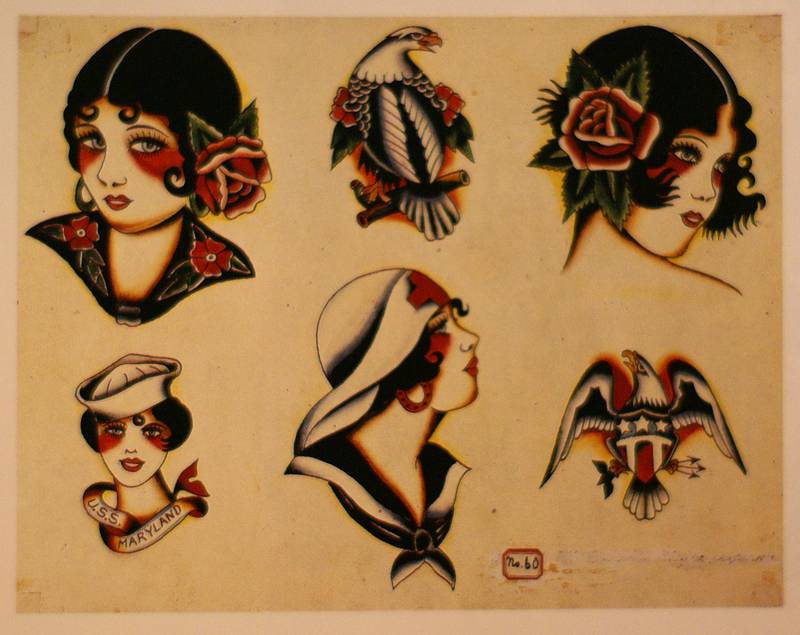 These vintage flash sheets are redone by contemporary tattoo artists. 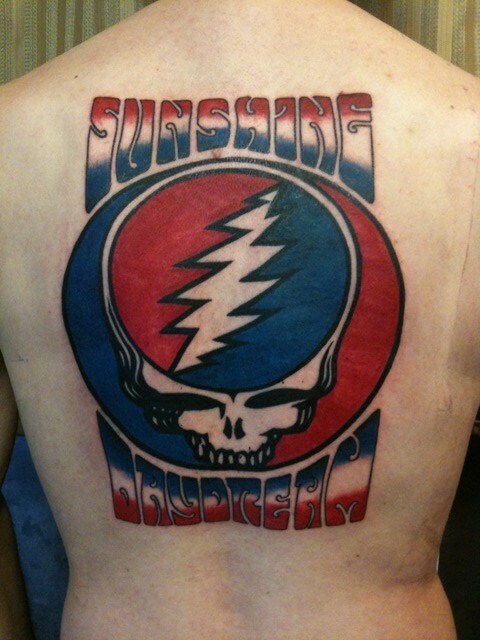 Here is a sheet redone by Chris Conn Askew. This is the original by an unknown artist from the 1920's. 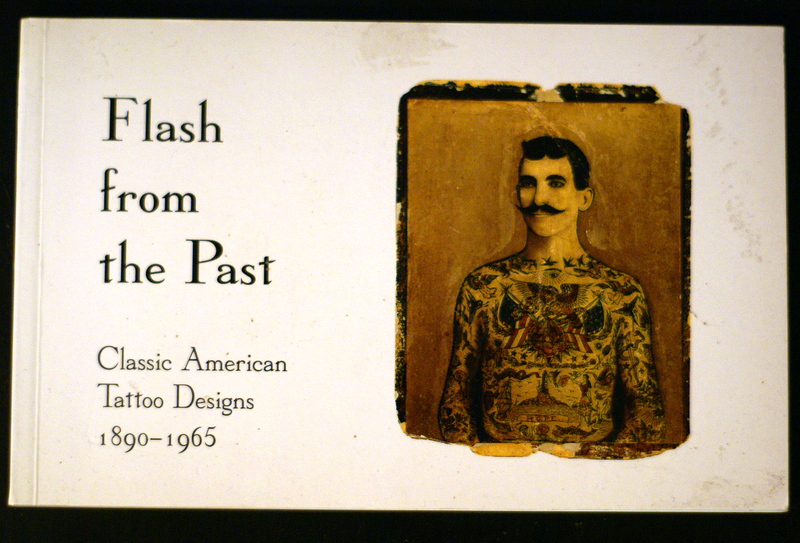 The original Flash from the Past book was published by Ed Hardy and has been long out of print unfortunately. Highly recommended if you can find a copy.